The Guantanamo Bay Reboot, Part of the Vicious “America First” Fascism of the Trump/Pence regime. In his first State of The Union message, Donald Trump announced the signing of a new executive order to keep Guantánamo Bay open to the sound of applause. He said those who didn’t applaud his speech are traitors.. His remarks are a harbinger of new waves of prisoners, staying true to his campaign promise to fill Guantanamo up with “some bad dudes.” He pledged to, “have all necessary power to detain terrorists wherever we chase them down, wherever we find them. And in many cases for them it will now be Guantánamo bay.” He further stated that “Terrorists who do things like place bombs in civilian hospitals are evil. When possible, we have no choice but to annihilate them,” disregarding due process. This is an expression of painful hypocrisy as Trump is a blood-thirsty fascist who bombs whole villages, mosques and schools. The budget proposed by the Trump/Pence regime reflects these vows with a $69 million investment in a Guantanamo reboot. 16 years of: a tortuous existence, inflicting an open threat of preemptive incarceration without trial, hundreds having endured the unimaginable-locked away without trial, without a charge against them. In defiance of the rule of law and human decency, all of this is what the Trump/Pence regime proudly demands more of. While he spoke of “recidivism” he made no mention of the extra-judicial character of the prison, wrongful imprisonment and torture. He additionally ignores the reality that it is precisely the existence of Guantanamo and the U.S. war of terror that inflames anti-American sentiment and serve as the top recruitment tool for radical islamic fundamentalists. The 40-year renewal of Guantanamo Bay prison is not an aberration and does not exist in isolation from the vicious “America First” fascist program of the Trump/Pence regime. The abomination of U.S. torture must not only end; the rationale of “exceptionalism” — that American lives are worth more than others — must be repudiated. The crimes committed by the previous administration have been escalated at a rapid pace and pose serious danger, including the wholesale incineration of humanity as Trump’s “America First” finger rests on the nuclear trigger. This is evident in the Trump/Pence regime’s dropping of the “Mother of All Bombs” on Afghanistan: the largest bomb dropped in any war since the United States nuked Hiroshima and Nagasaki. Despite what some in the media like to tell you about how little he is doing in fulfilling his campaign promises, in his year in power he has done precisely what he said he would do in his pledge that US “military dominance must be unquestioned, and I mean unquestioned, by anybody and everybody.” His plan for predominantly-Muslim nations is nothing short of extermination. Accompanied by his xenophobic and anti-muslim Travel Ban it is a genocidal program and can only be stopped through independent mass resistance. This is why World Can’t Wait joined with RefuseFascism.org, a movement of people coming from diverse perspectives, united in our recognition that the Trump/Pence Regime poses a catastrophic danger to humanity and the planet, and that it is our responsibility to drive them from power through non-violent protests that grow every day until our demand is met. This means working and organizing with all our creativity and determination to bring thousands, eventually millions of people into the streets of cities and towns, to demand: This Nightmare Must End: The Trump/Pence Regime Must Go. We must do this not just for ourselves but for the people of the world, especially our Muslim sisters and brothers who sit squarely in this regime’s cross-hairs. Together, we must be the emergency response team that pulls people away from rallying behind, relying on, and making excuses for the Democrats and instead drives this fascist regime from power. • Click here to download flyer to share with others: we've found that many people don't even know that Guantanamo is still open! • Click here for series of posters of Guantanamo prisoners cleared for release yet still unjustly held. Torture is a War Crime - PROSECUTE! 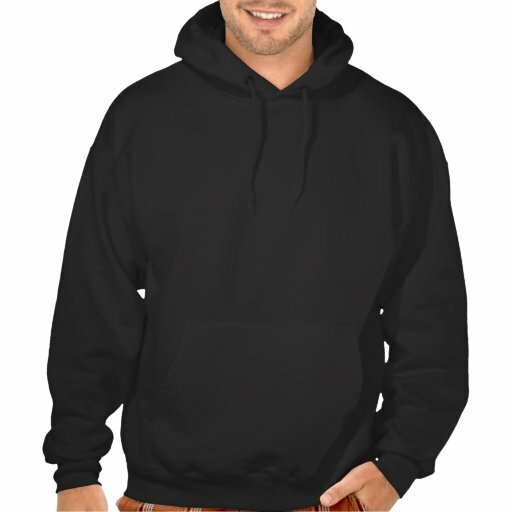 Get a hoodie or a shirt. Click to view more options. 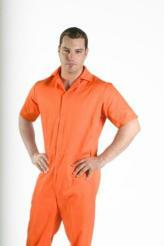 Looking for low-cost orange jumpsuits to stage your local protest against Guantanamo and torture? If you can't find any at your local costume store, click here to order online for $16 before shipping (World Can't Wait is not affiliated with this manufacturer and receives no fees for recommending this resource). Main Torture The Guantanamo Bay Reboot, Part of the Vicious “America First” Fascism of the Trump/Pence regime.